Ensure your business stays in business with preventative car wash equipment maintenance by Universal Petroleum Car Wash Services in Jacksonville, Florida. We provide weekly, bi-weekly, and semi-annual care for your convenience. 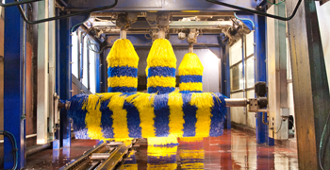 Routine car wash maintenance typically includes checking brushes, tightening bearings, and making sure all solutions and chemicals flow smoothly. We also replace damaged hoses and inspect all air compressors, auto units, water softeners, and hydraulic pumps. preventative car wash maintenance at affordable rates.